Garth Hewitt, founder of the Amos Trust, will be performing in Crosspool as part of his UK tour. You can hear him at St. Columba’s Church, 503 Manchester Road on Thursday, 15 November at 7.30pm. 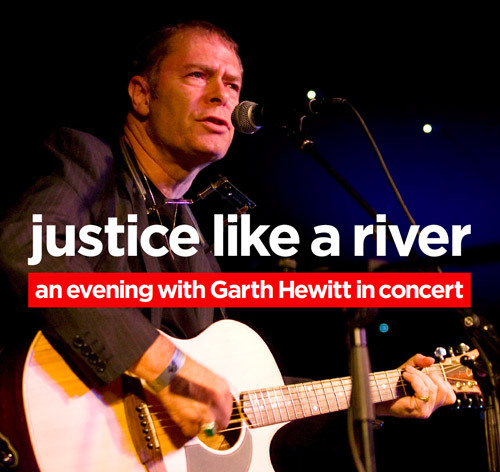 Garth will be singing songs and telling stories from his new album, Justice like a River. The songs are inspired by Amos’s partners around the world. From surfing street children in South Africa to grassroots educators in India, from frontline farmers in Nicaragua to creative campaigners in Palestine. Tickets from St Columba’s Church Office (0114 267 0006): £7, or £4.50 concessions. This entry was posted in arts, churches, crosspool, events and tagged gareth hewitt, justice like a river, manchester road, st columba's, thursday 15 november 2012. Bookmark the permalink.